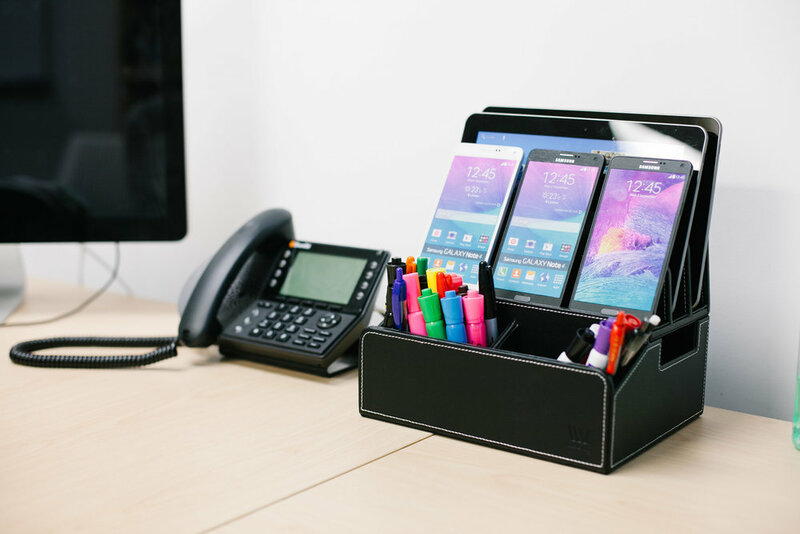 Enjoy the top-ranking MobileVision Executive Faux Leather Stand and Universal Multi-Device Charging Organizer in a new slimmer design. Now paired with the New 5-port USB Powermod Charger, customizable USB power strip powered by one single AC outlet creates the ultimate all-in-one charging location. Charge and organize devices even easier with the extended center cutout now reaching through to the third slot divider. Reign in and hide unruly cables that clutter necessary work space and precious countertops.